Custom jewelry in the heart of Seattle. Where you become the jewelry designer. Our custom jewelry is not about Kim conjuring up a unique design for just any client. 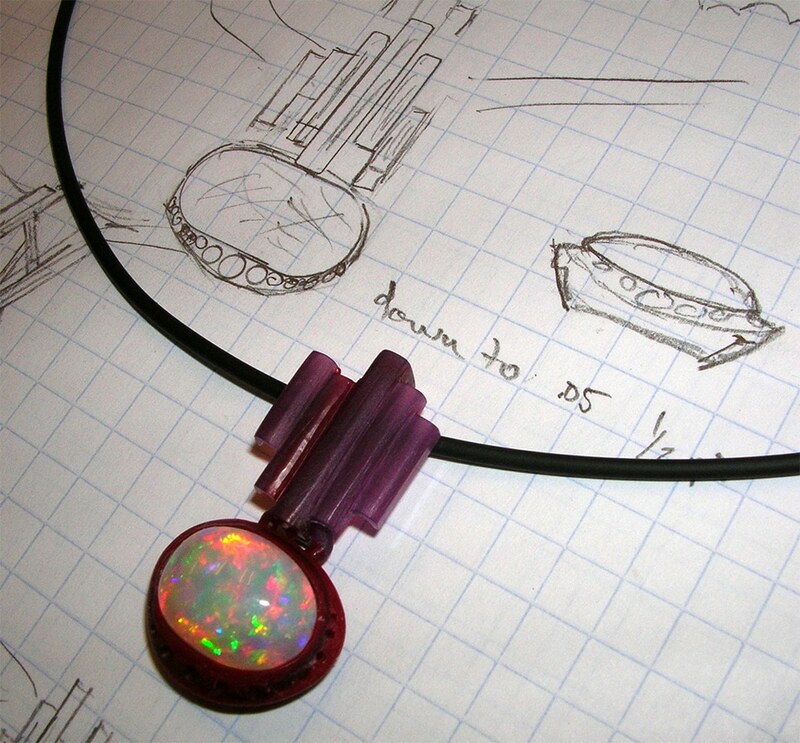 acting in the role of architect and engineer to realize your jewelry vision. Kim helps you develop a one-of-a-kind piece, bringing his expertise and knowledge to ensure that your design has proper structural integrity and lasting wearability. You’ll be intimately involved at every step of the creation process. 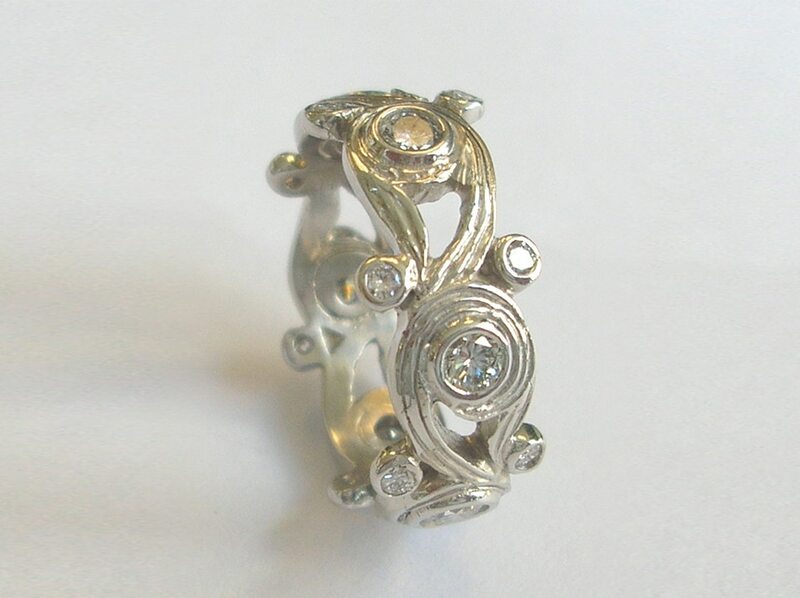 You’ll experience becoming your own jewelry artist—creating a piece you cherish. Call, email, or visit the salon to begin your custom jewelry journey today! We’ll have a thorough discussion about design motif. We may view design pictures to help us out, and we’ll likely incorporate some light sketching to further aid concept development. 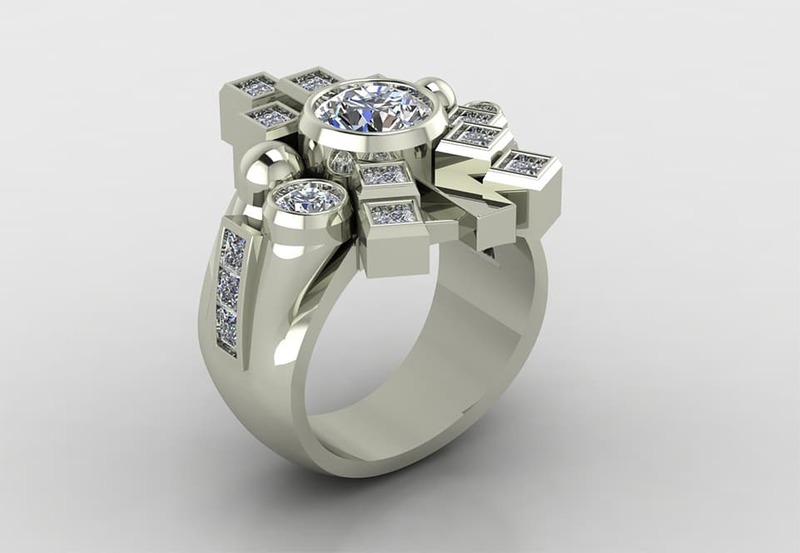 K. Alan Smith will create a three-dimensional wax model so you can view the design direction in your proper finger size. We do this by applying the exacting techniques of CAD design, as well as by employing gifted artists and model makers who carve by hand to capture the “feeling” of the design. Once the model is completed, we hold a second “sitting” for you to approve the design and/or provide revisions. We cast with precious metals of gold, platinum, and silver. We also like to re-purpose metals by mixing your old metals into the casting process. This keeps the process green and adds another layer of personalization. 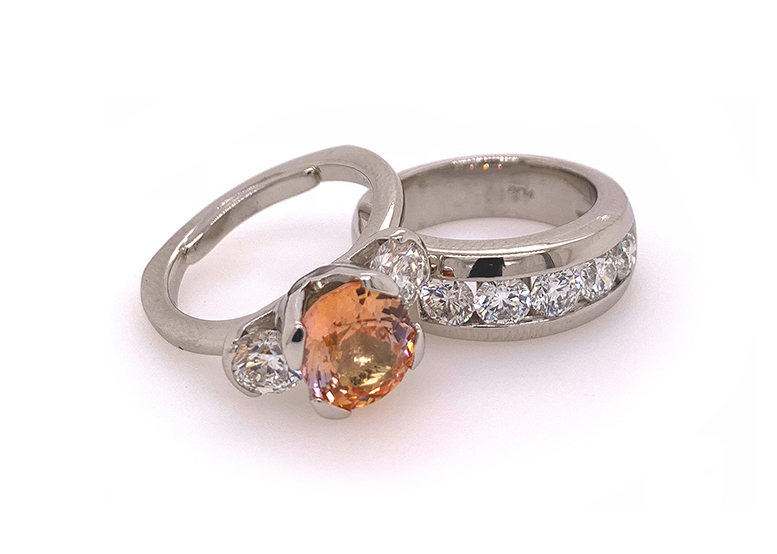 After casting your design, your gems are meticulously set at our facilities in downtown Seattle. Great care is given to the final finish process, with Kim offering unique and distinctive textures in addition to a high polish. 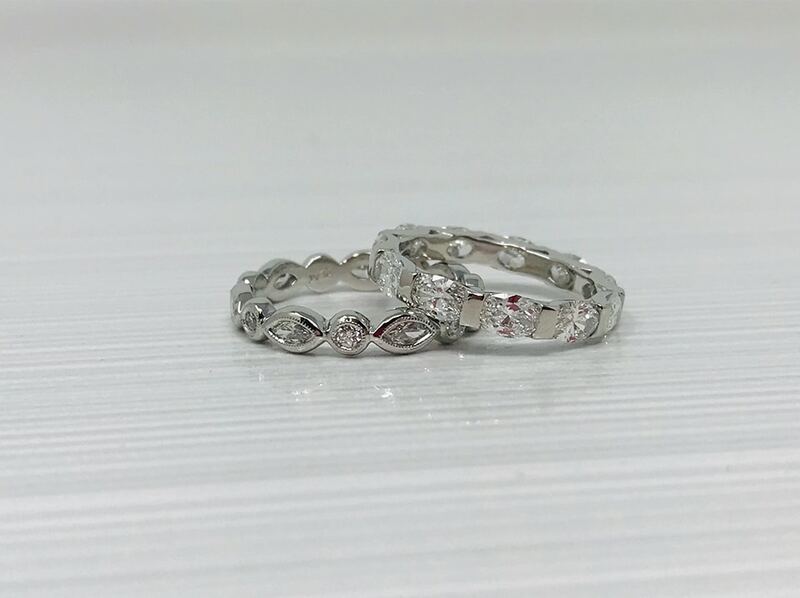 We put your finished custom creation through a thorough quality-control inspection to ensure your custom jewelry is perfect in every way. 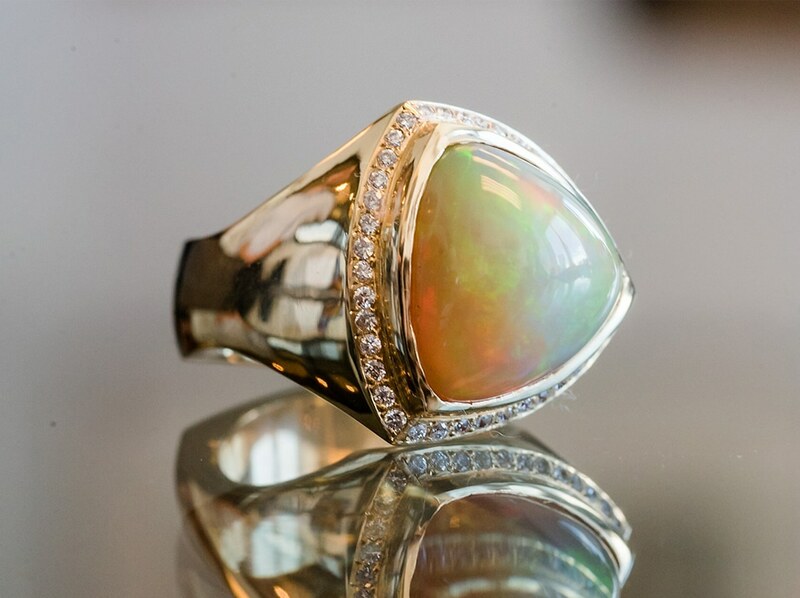 As a graduate gemologist and certified appraiser, Kim provides each newly created item with an insurance appraisal that can be presented to any insurance entity.